Richard Hachten, who had been serving as interim president and CEO of Alegent Healthcare and had agreed to stay for up to two years, has now agreed to stay on indefinitely at the Omaha, Neb.-based, nine-hospital system. Six months after retiring from the system, Hachten, 65, took over on a temporary basis after the October 2009 resignation of Wayne Sensor. Sensor's departure was followed by the resignations of the executive vice president, chief medical officer, senior vice president of human resources and the chief marketing and communications officer. 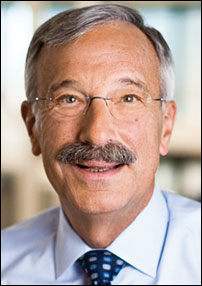 Until his retirement, Hachten had served as president of Alegent since its founding in 1996.